Italian elegance and refined beauty come to mind when you wear these gracious and utterly unique handcrafted silver earrings. 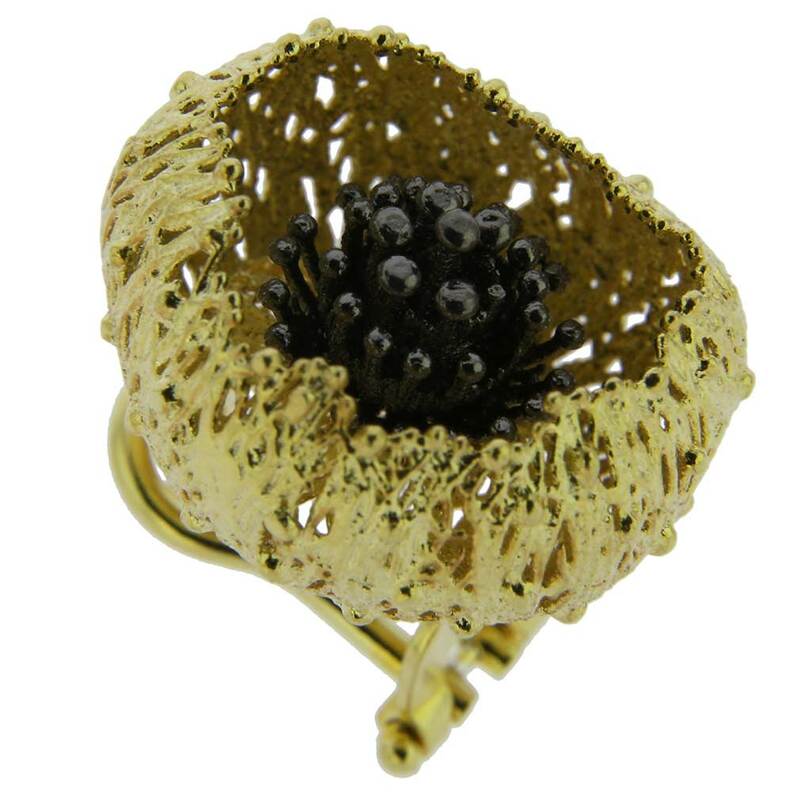 The exquisite design showcasing the fragile grace of opening poppy flower is made of sterling .925 silver with filigreed petals plated with 24K gold and finely crafted center filaments. 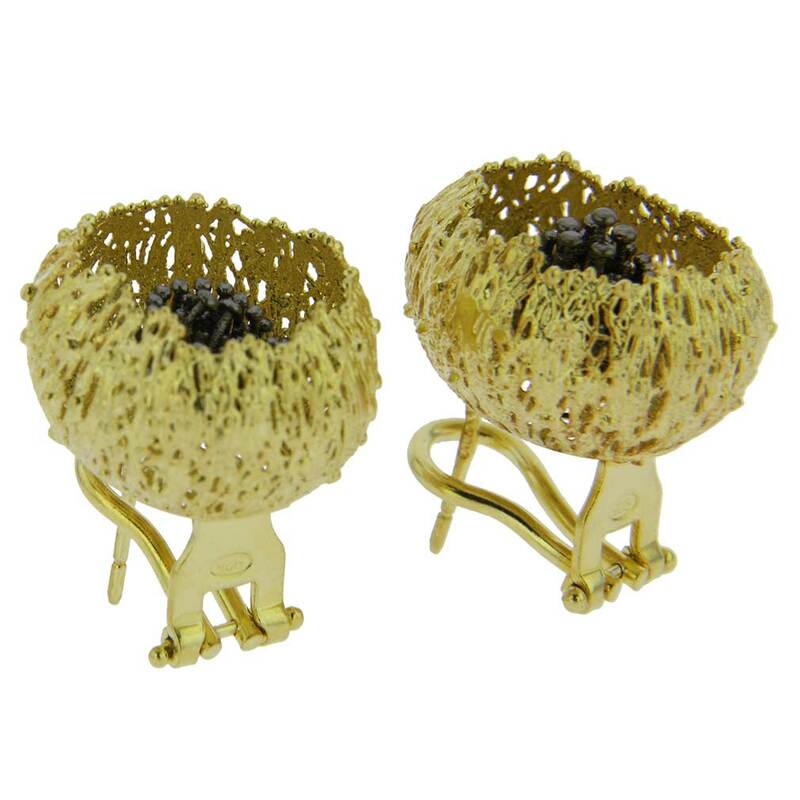 These poppy earrings represent the best of Italian jewelry-making tradition, straight from the famous silversmith workshops of Vicenza, a northern Italian city, where silver-making has been the main craft for centuries. These gorgeous silver earrings relay the incredible fantasy and talent of Italian artisans and will make a sophisticated accent for any outfit and any occasion. 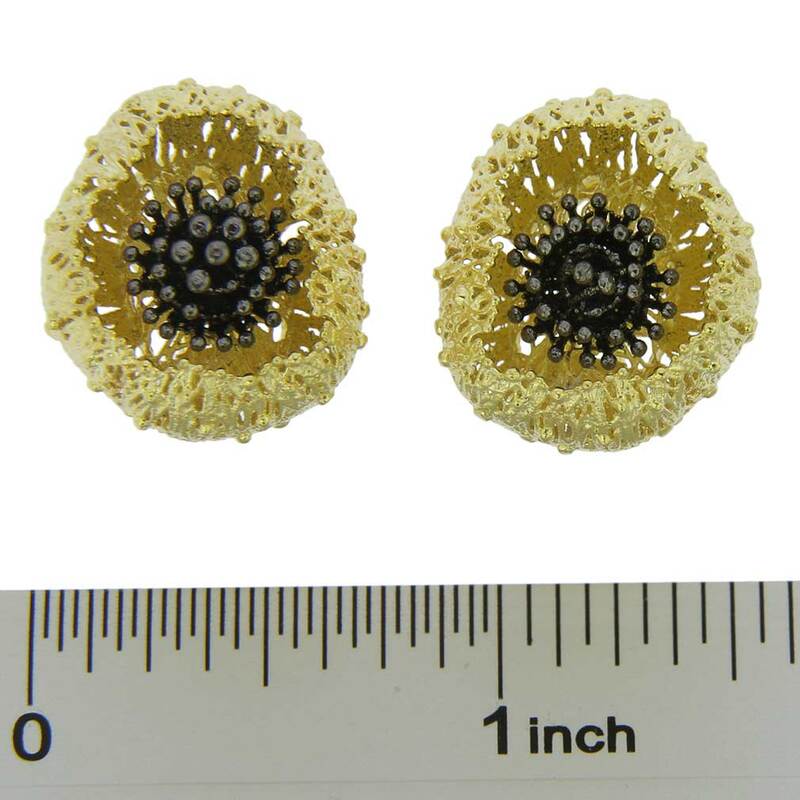 Measurements: Each flower measures about 1/2 inch in diameter. 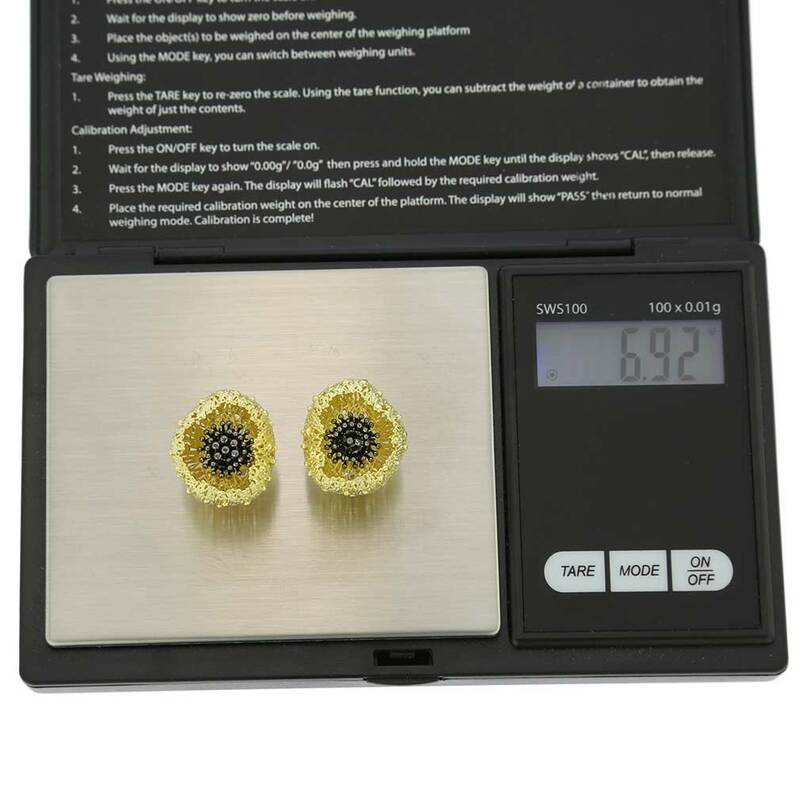 The weight of the pair of earrings is approximately 7g. 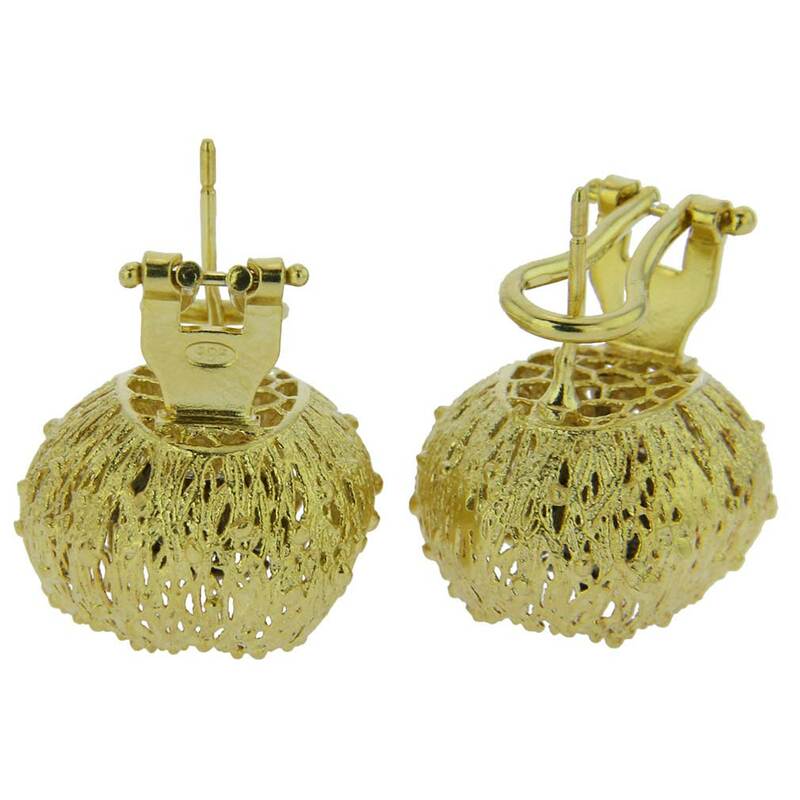 These Italian designer earrings are made of .925 Sterling Silver plated over with 24K gold and rhodium to prevent tarnishing.